Are householders moving on or sprucing up? 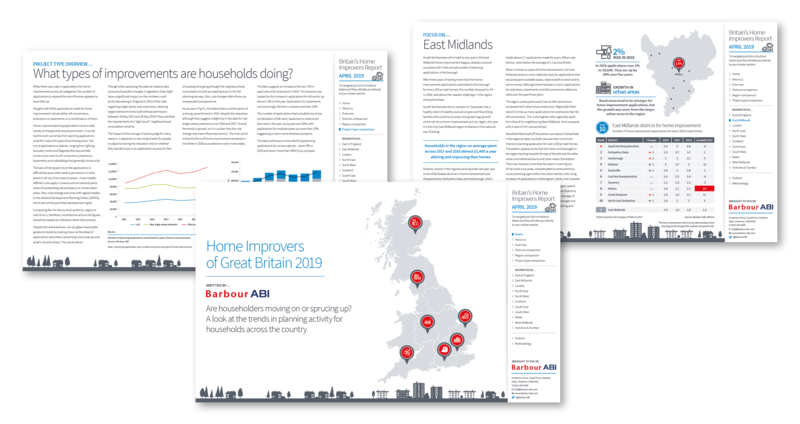 Barbour ABI take a look at the trends in home improvement planning activity for households across the country. In this detailed report we look at which UK regions have experienced the biggest growth or fall in the number of home improvement applications over the past 12 months, and look ahead at the trends for the coming year. House prices are still key for the industry as they strengthen the case for home improvements. Complete the short form to download your free copy of the report today.